Product code: 652 Categories: Sold Items, Sold earrings. Magnificent antique earrings are always sought after, and these are just stunning! 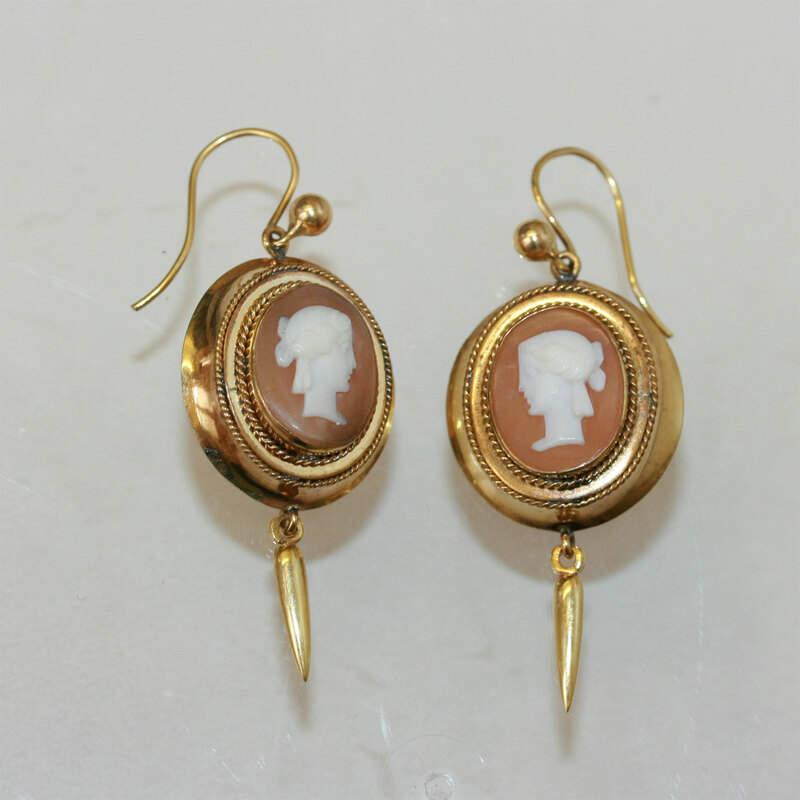 Made in the Victorian era of the 1870’s, they are made in 15ct gold and are each set with a lovley hand carved cameo of a womans head in profile. The detail surrounding the cameo makes it that extra bit more special, and then finished with a simple and elegant high polished border. Measuring 4.2cm in length, and fitted with shephard hooks, they look sensational on the ear. If you are a serious cameo and/or antique collector, then these must be considered!